e.l.f. always has so many new products coming out, it can be hard to choose what to buy. Today I have a review of the e.l.f. 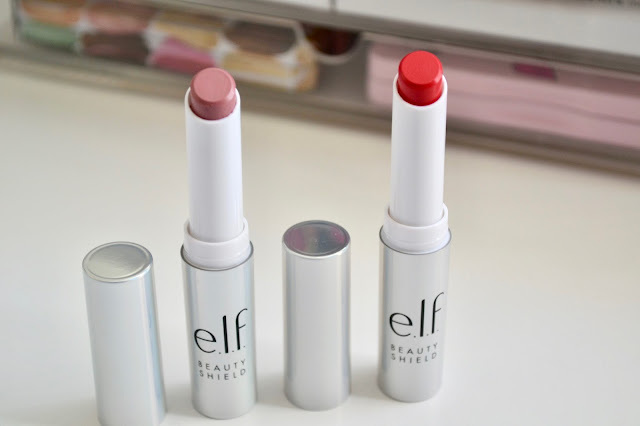 Beauty Shield Lipsticks. 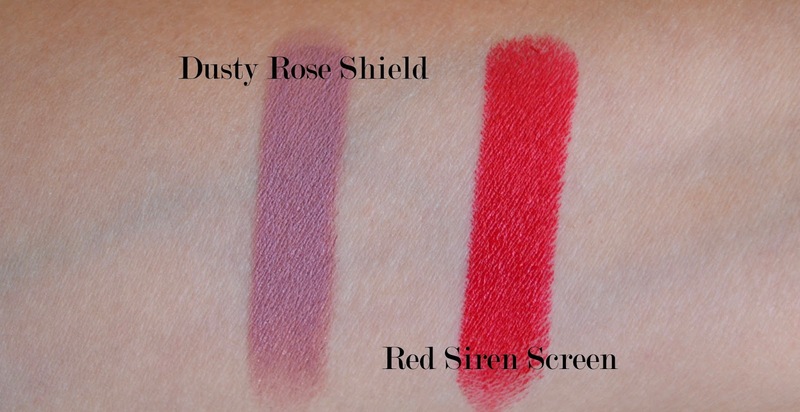 The two shades I have are Dusty Rose Shield and Red Siren Screen. These have been getting not so good reviews on the e.l.f. 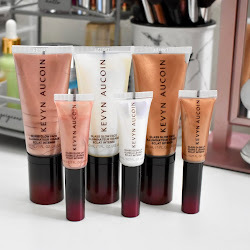 website, but I had more of a positive experience when it comes to the lipsticks. Find out more below! I have two of the five shades of the e.l.f. 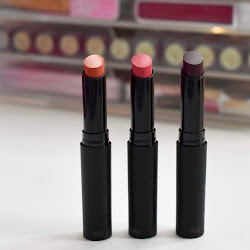 Beauty Shield Lipsticks. Dusty Rose Shield is a different Mauve shade than I expected. On my lips it was more of a mauve-purple shade that looked very light in an unflattering way. I wish it would of been more of a darker dusty rose, so this is something I would have to mix with another lipstick. Red Siren Screen is more wearable and definitely a gorgeous red shade. The lipsticks are really pigmented and only take a few swipes to get the color opaque. 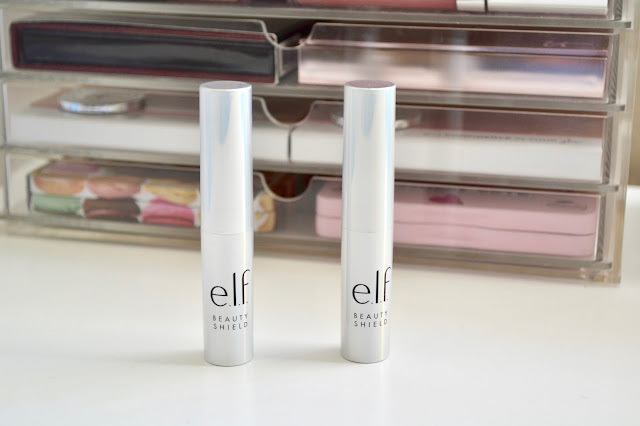 The formula felt like a lightweight lip balm and was comfortable throughout the day. I didn't notice the lipsticks drying out on the lips or feathering out at all. 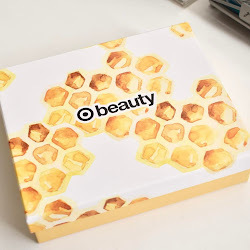 The packaging is a light plastic which is expected from a lipstick that is only $6. I wasn't too surprised by that and I still like how they have an iridescent look. Overall, I would buy other shades that would work better on my skin tone since I do like the quality and pigmentation of them. e.l.f. Beauty Shield Lipstick retails for $6 and can be found on the e.l.f. website. Winter Fest OC 2017: Info + Ticket Giveaway!